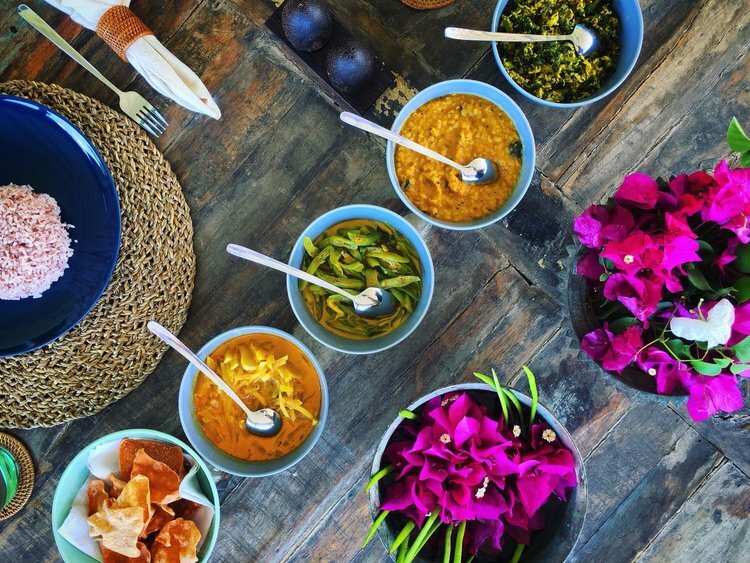 Join Pip and Naz for this 7 night awakening at the stunning Rukgala retreat, in the heart of the Sri Lankan hills. Fly in by seaplane or take the scenic train from Colombo to Kandy, and find your self in the lush and breathtaking Hill Country. Rukgala is perched on a rock, surrounded by tropical jungle and overlooking Victoria reservoir (lake) and mountains beyond. 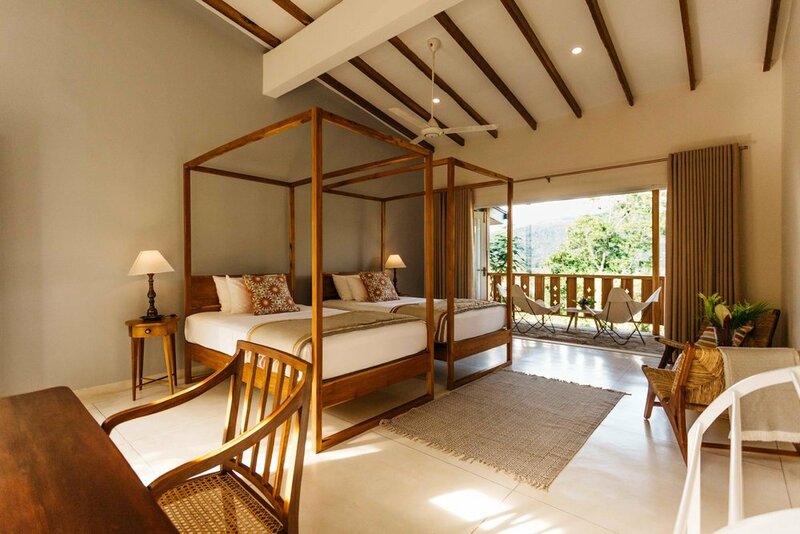 Taking place in an open plan teak yoga shala surrounded by tropical flora and birds, our daily yoga practice will have a focus on Pranayama (breath control), meditation and Asana. The Asana practice will include elements of alignment focus, moving meditation and establishing a grounding foundation. Pip designs every yoga class for all levels ensuring it is challenging when needed but retaining its playfulness. Our interactive workshops on various topics are your opportunity to be supported and inspired to go deeper into your own practice. After a week under Pip's guidance you will have developed a greater knowledge of your yoga journey and a renewed sense confidence. The ethically sourced vegetarian menu has been specifically designed to heal from within by boosting your immunity, balancing hormones and rebuilding your microbiomes. Elixirs, mylks, juices and smoothies will nourish you from the inside out and your tastebuds will be tantalised with innovative dishes such as Lotus Roots & Courgette Rolls, Laksa with tofu and Beetroot & Avocado Cake. The ethos of this retreat is 100% health and well-being, giving you time to relax, unwind and reconnect. *Transfers, flights and activities marked with an asterisk are not included, but we can assist in advising or organising these. offer views out over the pool, trees and lake beyond. Each room has a cute mezzanine level with extra single bed - ideal for meditation. Bathrooms are fitted with stand-alone claw-foot tubs. Although journeys may take a little longer here, Sri Lanka is easy to travel around in and offers a real opportunity for adventure. We highly recommend taking a day or two to acclimatise and make your way to Rukgala via the train from Colombo to Kandy. If you'd prefer to come to us direct and be collected by car, that's fine too. After the retreat is the perfect opportunity to head to the coast for a visit to the Dutch Colonial Fort Galle and spend some time surfing the waves in tropical paradise that is Hiriketya. Once you've booked with us we can help you organise your travel ( including travel buddies where possible) and recommend places to stay if you have extra time.